Our humor is like a box of jerky. You never know how dry it will be. Remember that scene in Forrest Gump where Bubba, amidst the menial army tasks of potato peeling and scrubbing floors with tooth brushes, lectures Forrest on the countless ways to prepare shrimp? Shrimp gumbo, shrimp stew, shrimp and grits… you get the idea. When you think jerky, the image that comes to your head might be of an ancient stick of beef from 7Eleven. But like shrimp, jerky has a shocking amount of diversity. There’s beef jerky, duck jerky, turkey jerky, ham jerky, Steve Martin jerky… wait, what were we talking about again? The origin of jerky is nearly impossible to pin down, but there is evidence that the Ancient Egyptians were producing large amounts of dried meat, and there are ancient forms of jerky to be found in China as well. Jerky made its way to Europe via the Spanish, who first encountered it in the 1500s through the Quechua people of the Andes mountains. The Egyptians may have had a different word for it, but the term “jerky” stems from the Quechua term charqui. That’s three – count ’em, three – ancient cultures that just could not get enough jerky. 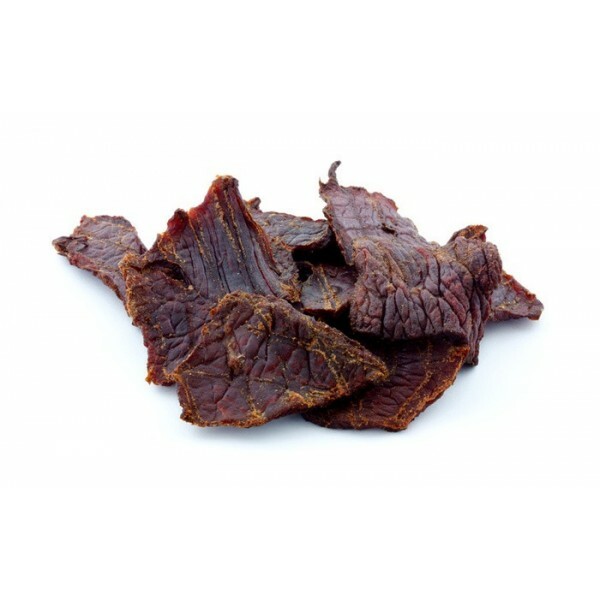 Quechua charqui was originally made from llama, and while the most commonly found form today is beef, one can preserve any number of meats and make them into jerky. How? It’s surprisingly simple if you have a dehydrator. 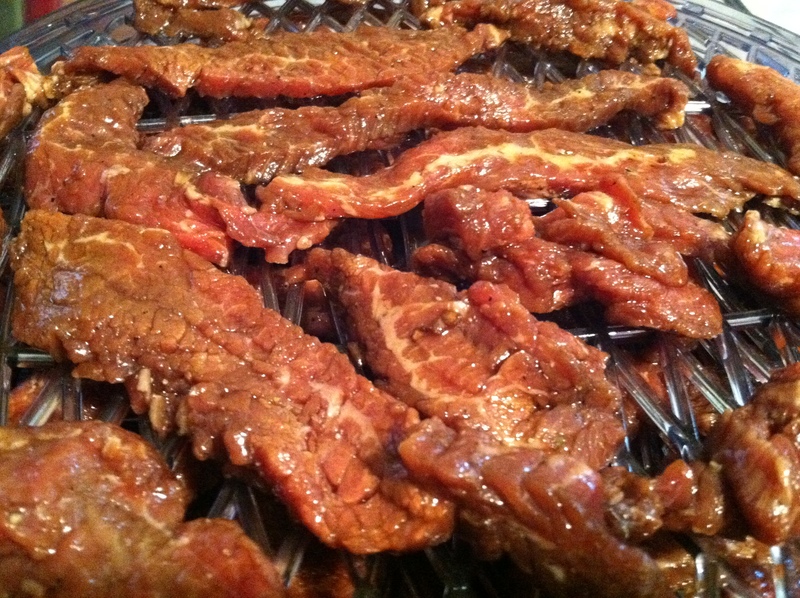 Almost every jerky recipe follows three basic steps: slice, marinate, and dry. A dehydrator makes the last step incredibly simple. Dehydrators are, of course, not just limited to jerky. They’re great for fruit and veggie chips, herbs, granola, nuts, and a lot more. Just remember that dehydrators require food to be sliced uniformly. 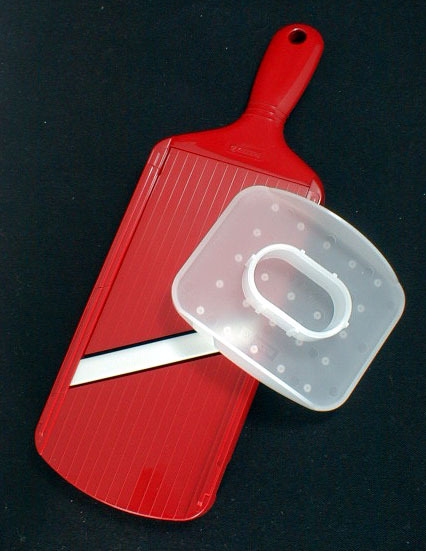 If your knife skills aren’t the sharpest, you can always try using a mandolin like the Kyocera Ceramic Slicer for fruits and veggies. Even better, you can hone your skills the old fashioned way! 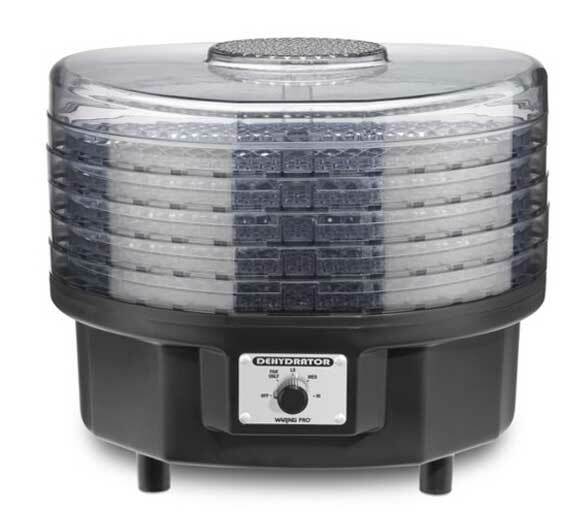 We carry a beast of a dehydrator by Waring Pro, which offers 525 watts under the hood (similar wattage to a commercial KitchenAid mixer, for comparison’s sake), and has 5 stackable trays, which can accommodate large or small batches. If you want to see the dehydrator in action, feel free to swing by our Italian Market store this Saturday for our in-store demo. We’ll be drying out all kinds of things, not just jerky – and yes, we are giving out samples! The demo runs this Saturday from 11-3 – check it out! Edit: Check out the ‘before’ of our store-made jerky! We did an overnight cure of Worcestershire, soy sauce, black pepper, garlic, smoked paprika and brown sugar and gave it a whirl in the Waring machine.